The Heritage Lottery Bid (HLB) applied for by BANES to fund the reunification of the grounds of the Holburne Museum and Sydney Gardens, plus the refurbishment of both, was initially made in February 2013. This bid was refused due to lack of involvement of users and the local community. The second application in February 2014 was withdrawn by BANES in May 2014. The reason given for withdrawal was the need to continue discussions on the impact of the proposed bid on the community and the community involvement in governance and management of the gardens. Additionally, there was a need for further discussions on the scale of programming of events and activities planned to take place within Sydney Gardens. BANES is proposing a project board, with community involvement, to progress a further application. FoSG would be represented on the project board as would other resident associations. ‘Healthmatic’ have been contracted by BANES to maintain and refurbish toilets within BANES. ‘Healthmatic’ applied for buildings application to convert the toilets in Sydney Gardens from the present 6 toilets to 1 toilet and an office. There were many objections and the application has been withdrawn. We will keep you updated. World Heritage Day celebrations were held in Sydney Gardens on the 13th April 2014. The event was a great success. Many people attended and many new members joined FoSG. 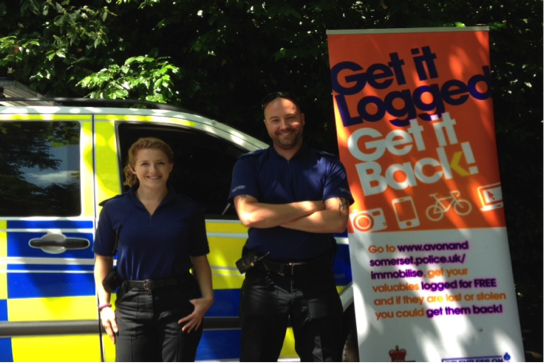 Our local PCSO’s Zoe & Mike had a record breaking turnout for this event with ﻿many﻿ people bringing personal items for security marking; to aid recover﻿y if lost or stolen. The event was filmed by BBC 1 and will be part of ‘Neighbourhood Blues’ which will be shown on BBC 1 in October 2014. 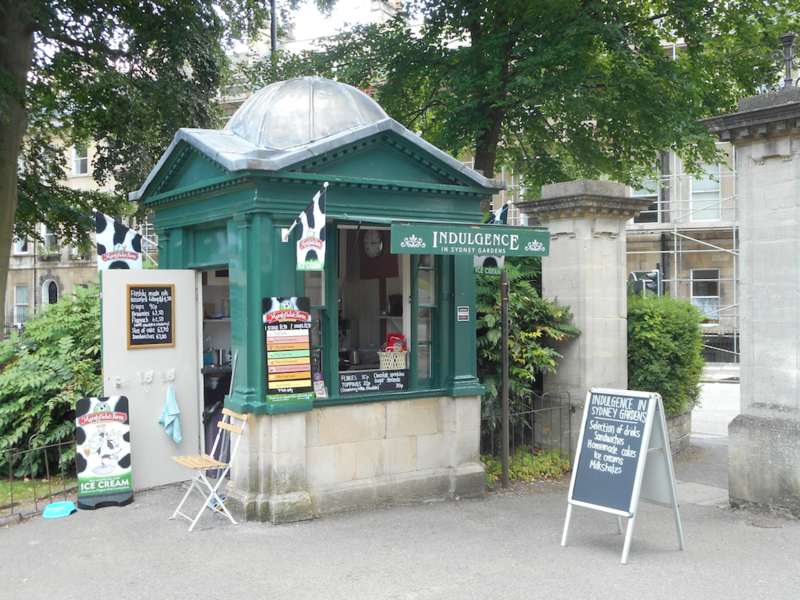 Indulgence Cafe is now operating from a kiosk in Sydney Gardens. Open 12–5pm each day weather dependent.